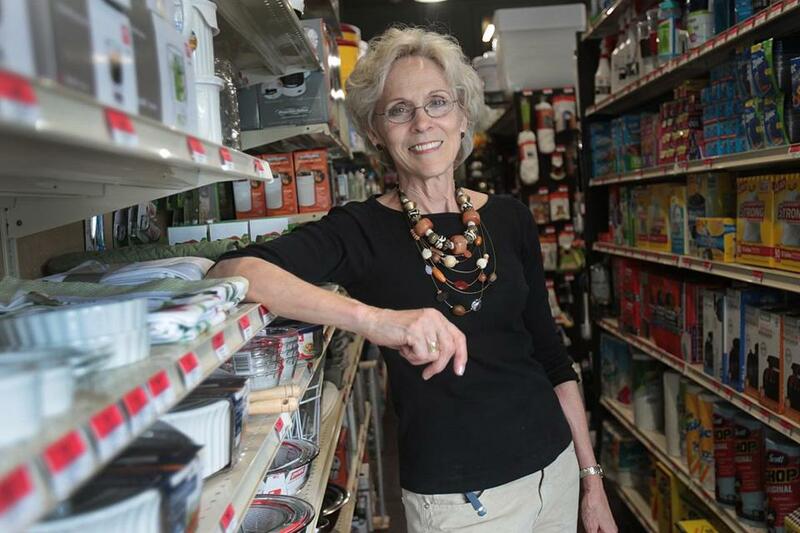 Tricia Marshall and her husband bought, reopened, and expanded Waban Hardware in Newton. Q. Why did buying this business appeal to you? A. My husband and I own six other small neighborhood hardware stores, but this one was different from the beginning. It had a little over 1,000 square feet on the main floor, and our others are more like 3,000 to 8,000 square feet. There’s just no way the numbers would have worked, which is why we renovated the lower level to double the space. It’s less profitable than our other stores, but we didn’t want to lose it because of the location and historic charm of the 1890 building. We love the feel of it. A. We cover all your basic hardware needs — literally thousands of items — and we’ll continue to adjust the inventory to reflect the needs of the neighborhood. We have a garage out back, so we carry Weber grills in the summer and snow blowers in the winter that we deliver. We also do screen repairs, sharpen knives, scissors, and tools, cut keys, and we’re a UPS drop-off site. We’re trying to be full-service on a small scale. Q. How has the store changed? A. Now when you walk in, you see antique-looking windows, barn lights instead of florescent fixtures, reproduction pictures and maps, and the original wood floors that dip and rock — but they’re beautiful. Downstairs looks like a new hardware store with preserved stone walls and windows. It’s painted a historic gray-green appropriate in the 19th century, so it feels old-fashioned but looks new and fresh, with contemporary shelving to make the store efficient. I think we struck a nice compromise. Q. How is business so far? A. Our customers have been incredibly supportive. Waban has such a sense of community, and I really like feeling part of the neighborhood. People love to shop locally, so the signs are saying this will be a good store. Waban Hardware is at 1641 Beacon St. in Newton. Call 617-244-4566 or visit its Facebook page.